I’m Megan and I’m natural light wedding photographer in beautiful North Carolina, but I love to travel and shoot weddings all over the country! This Summer I had the opportunity to connect and work with Megan Travis, a talented photographer based in North Carolina. 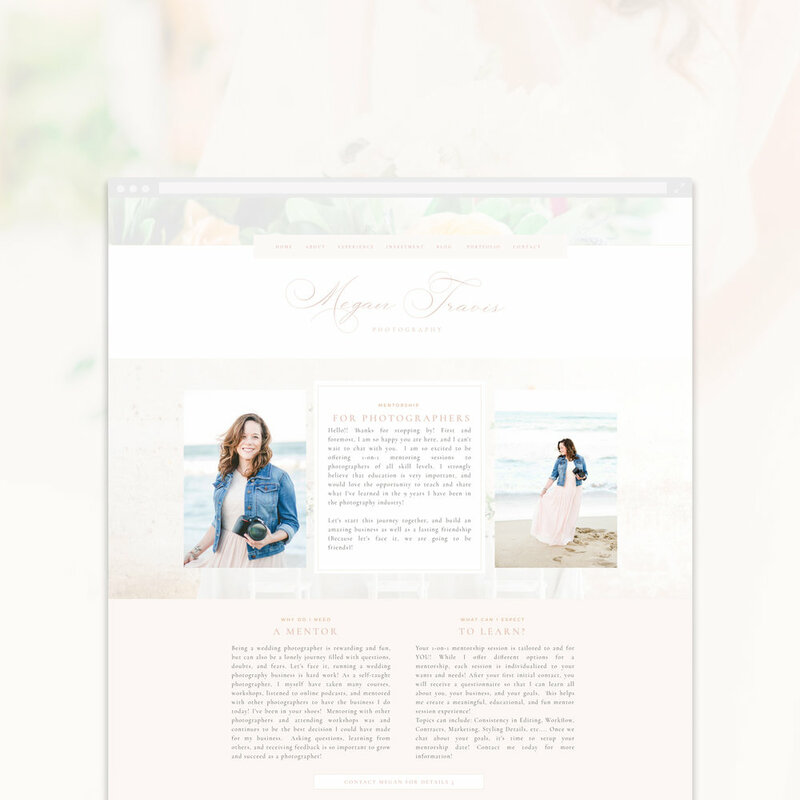 Megan has been in business for quite a while and has an amazing portfolio for her wedding photography business. 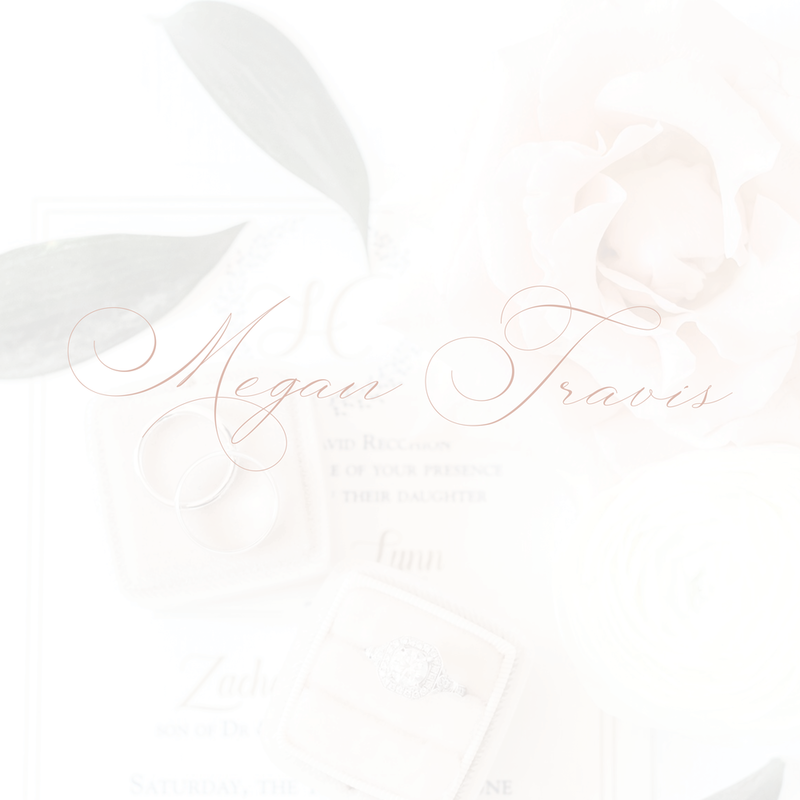 Megan already had a Showit5 website set from a template she previously bought. 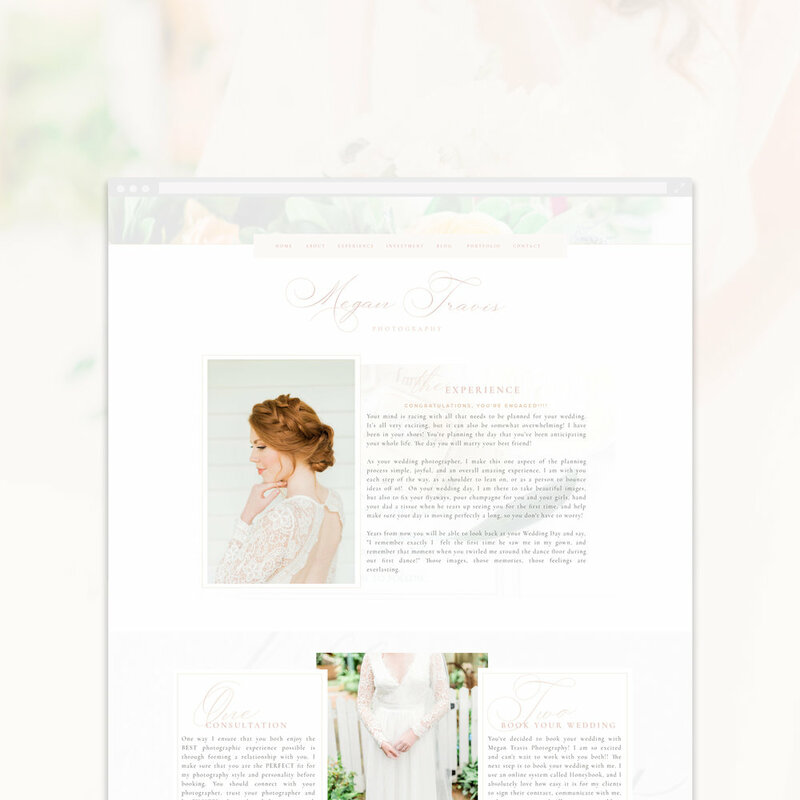 She wasn’t happy with the way things were looking and she felt like it was time to establish a visual identity to go along with her new website design. Her photography style is full of natural light so our goal was to create something that had that same romantic, elegant feel that you can see within her own photography style. After working on her brand, logo, colors, and typography, we started working on her new full Showit5 website. We not only created pages to educate her prospective clients, but additional pages for her TuesdaysTogether Rising Tide Society local group and her a new page for her to connect with other photographers that are in need of guidance during the growing pains of owning a business. Do you want to see more? The go ahead and visit her new website, and make sure to say Hi!